Robert Half is the world’s first and largest specialized staffing agency. We’re dedicated to providing your business with highly skilled professionals well-matched to your unique hiring requirements and workplace environment. 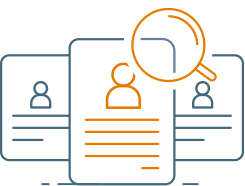 Whether you’re looking to staff accounting and finance, technology, administrative, legal, or creative and marketing jobs, we can help you find the right fit for your team. Robert Half works with hiring managers across the globe and we’re always looking for in-demand job candidates to help staff our clients’ open temporary and full-time requisitions.